The researchers at the Harper Cancer Research Institute are some of the best minds in their fields, with decades of scientific research experience in the fight against cancer. But some of Institute’s top researchers haven’t even finished college yet. And even though Ansel Nalin ’14 and Matthew Metzinger ’15 still have to contend with midterms and homework (to say nothing of dining hall food), the two College of Science undergraduates are performing serious research in the fight against cancer—thanks to research funding from the Notre Dame College of Science. Nalin and Metzinger, who major in chemistry and science pre-professional studies respectively, have each received College of Science Baten Summer Undergraduate Research Fellowships. As the first-ever Baten scholars, Nalin and Metzinger will receive funding to continue their research in Notre Dame laboratories during the summer. Nalin studies how naturally-occurring chemical products can be synthesized for large-scale medical production. Natural products like the anti-cancer drug Taxol can be effective in fighting cancer but are often hard to produce in large quantities. Nalin, who received the 2013 Norbert L. Wiech Award for excellence in academics and scientific research, has studied in the lab of Richard Taylor, professor of chemistry and biochemistry and associate dean for research in the College of Science, for the past three years. Metzinger is tackling the challenge of epithelial ovarian cancer, which is the fifth leading cause of cancer death for women in the United States. Metzinger is testing body fat in mice to see if there is potentially a correlation between obesity and ovarian cancer. Metzinger’s advisor is Sharon Stack, the Ann F. Dunne and Elizabeth Riley Director of the Harper Cancer Research Institute and professor of chemistry and biochemistry. 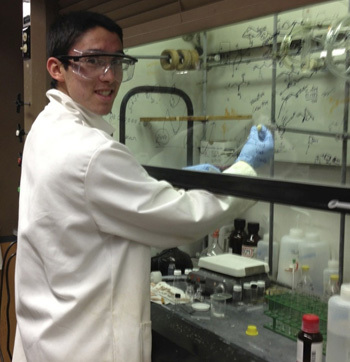 Baten Scholarships are funded by the Baten Family Endowment for Excellence to Support the Honors Program in the Department of Chemistry and Biochemistry at the University of Notre Dame, created by Clay and Wanda Baten of Midland, Texas. 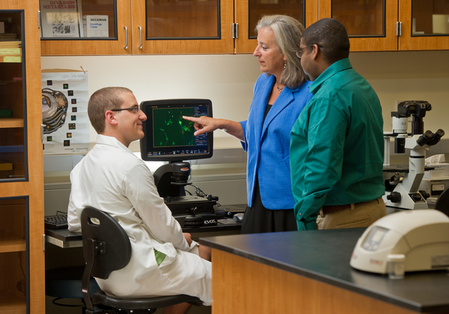 Originally published by Michael Rodio at harpercancer.nd.edu on July 29, 2013.